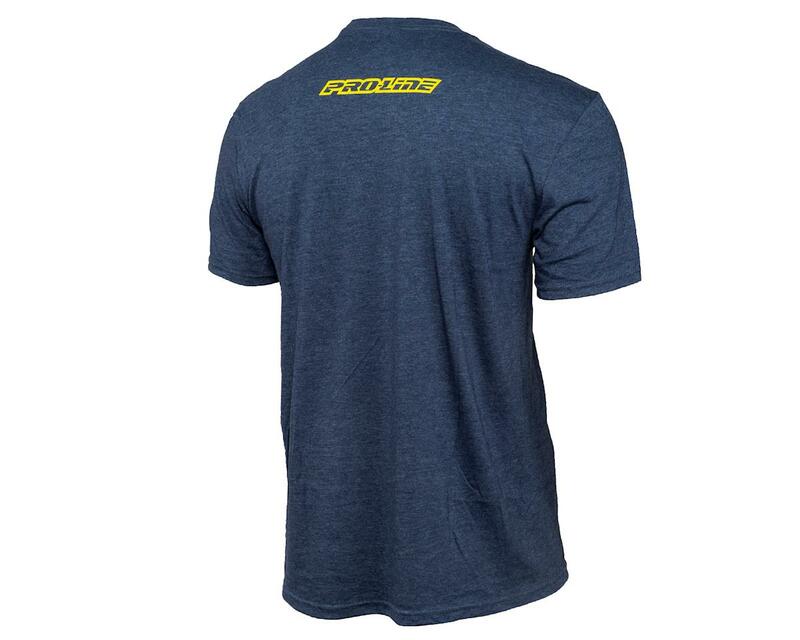 This is the Pro-Line Linear Navy Blue Short Sleeve T-Shirt. This Pro-Line Navy T-Shirt is for Pro-Line fans designed in the Linear styling! 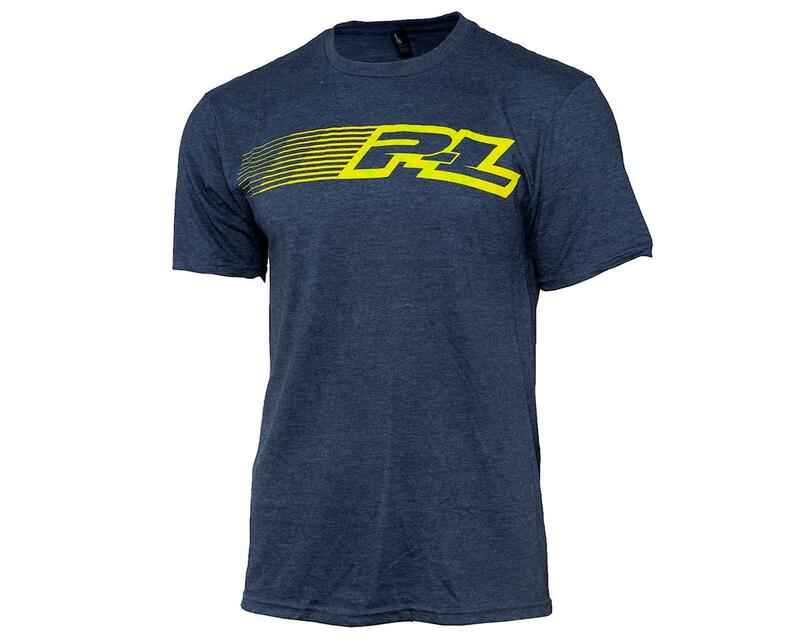 Featuring a large yellow and green P-L logo with speed lines in the front, this Cotton and Polyester Blend T-Shirt is just what you need to show off your Pro-Line love. The back has a small Pro-Line logo centered on the upper back.